Nepotism is something of a buzzword, and it's generally seen in a negative light, particularly in government. Merriam-Webster defines the term as "favoritism based on kinship." Most organizations avoid nepotism because it's seen as unfair and it brings to mind more sinister concepts like cronyism and the spoils system. Many companies prohibit nepotism, but it remains rampant in business, sports, and entertainment. Donald Trump's children are executive vice presidents of his companies, and, as President, his daughter, Ivanka Trump, is his senior advisor. 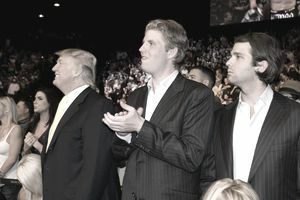 National Football League owners Jerry Jones and Robert Kraft also placed their children in executive positions with their respective franchises. The children of Hollywood producers and A-list actors are often cast in roles based on their family connections. Countless laws and policies prohibit nepotism under particular circumstances in the public sector. The prohibitions most often deal in the areas of human resources and procurement. These are hot-button areas because of the money involved in hiring personnel and awarding government contracts. The key word in Merriam-Webster's definition is "favoritism." It's certainly not uncommon for family members to work for the same company, and in and of itself, this doesn't have to be a negative thing. The US Census found in 2015 that nearly one in four American men age 30 or older has, at some point, simultaneously worked at the same business with their fathers if their fathers were active in their lives during their teen years. The statistic drops to 13 percent for women. The numbers are significantly higher in Canada. Ultimately, it's the terms of the workplace relationship that set the tone for charges of nepotism. Nepotism rules often require that job applicants and potential contractors disclose their relationships with any employees up front. Family members of elected officials, appointed officials, and chief government executives are often prohibited from working within the organizations their family members lead. This happens because those individuals are at the top of the organization so all employees fall in their line of supervision. Additionally, the mere appearance of impropriety among those in high levels of authority can cost politicians elections. Approximately 40 of President Ulysses S. Grant's family members and family connections benefited from his presidency. In the Encyclopedia of White-Collar and Corporate Crime, Lawrence Salinger cites instances of Grant and Mrs. Grant's family members being appointed to public office. Additionally, Robert F. Kennedy served as United States Attorney General under his brother President John F. Kennedy.